Axalta Coating Systems revealed the new brand name for its popular product DuPont Refinish, a leading global brand of automotive refinish systems. 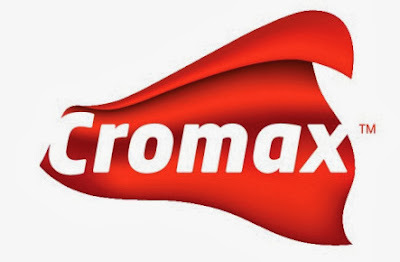 Now DuPont Refinish will be known as Cromax®, a brand build for performance.Along with the new name, the product will also be readily identified by its bold new logo – a visual representation of the brand’s spirit. The rebranding of Cromax® is part of Axalta’s on-going commitment to its customers of offering products that are high in quality and performance. The Cromax® name and the vibrant new logo will provide a fresh, new look to company’s tremendous line of refinish products. These products have been the preferred choice of thousands of loyal body shop customers, distributors and importers involved in the refinish business around the world. Across the globe, the Cromax® family of brands is well-known for its improved productivity. The products under this brand name are engineered for easy, quick and accurate applications. Cromax® now includes all the great product lines that have been part of the DuPont Refinish franchise. These are Cromax® Pro, and Centari. All the attributes of the individual product lines will remain the same: the same quality, formulations and technology will continue to provide customers with innovative solutions – a promise Axalta is always going to keep. Although the introduction of the new Cromax® name occurs today, the complete roll out of the new Cromax® identity, across the entire portfolio of products will take some time. This announcement is the first step in this exciting journey. In the coming months, more information about Cromax® will be communicated. The new Cromax® product labels will begin to appear in 2014, subject to locations. In the meantime, all products, color tools and other resources with the DuPont Refinish name would continue to be used by importers, distributors and body shop customers.